I headed back to Manchester Fashion Week on the Thursday for an afternoon of shows from designers with stores at The Avenue, Spinningfields where the venue for the week was based. Although it was pouring with rain (I was in Manchester after all!) as soon as I took my seat for the Ted Baker show it felt like summer was here! Models walked out to a feel good soundtrack featuring tunes from Beyonce, Britney, Jessie J, Katy Perry and Willow Smith. 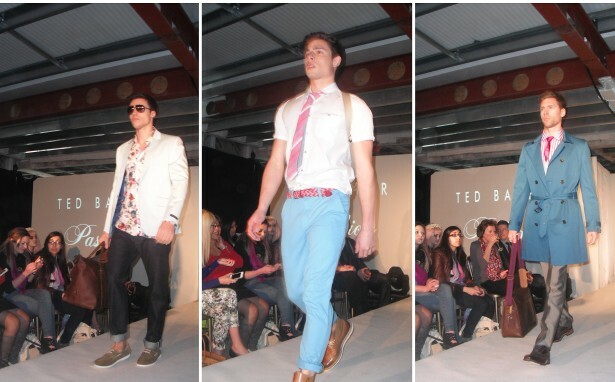 Ted Baker's Spring/Summer '12 menswear collection featured casual suits mixed with pops of bright summer colours and this seasons hottest pastel tones. Chinos were rolled up at the ankle, worn with boat shoes and paired with tailored blazers for a smart casual summer look. Models carried satchel style leather bags. I loved the printed neckties and plait leather belts providing detailed touches to the menswear outfits. My favourite piece was the bright blue trench coat styled over a suit. A trench coat is an ideal summer staple for your wardrobe to protect you from those summer showers.. especially when you live in Manchester! The womenswear Spring/Summer '12 collection featured a palette of summer colours and printed designs. Pretty summer florals were a key trend. Models wore cork wedges, towering cut out detail heels and carried oversized leather bags. I loved the laser cut detail clutches. Dresses were defined at the waist with bow belts. In contrast to the sharper silhouettes one of my favourite pieces was the flowing blue pleated maxi dress. Styled with salmon pink peep toes and layered with chunky amber jewellery the gorgeous gown saw gasps from the audience. I also loved the layered ruffled peach dress cinched in with a bow detail belt and accessorised with sparkling black jewels. For the finale couples dressed in perfect summer wedding attire took to the catwalk throwing out bouquets into the crowd. The men were styled in smart suits with ties colour co-ordinating with their partner. 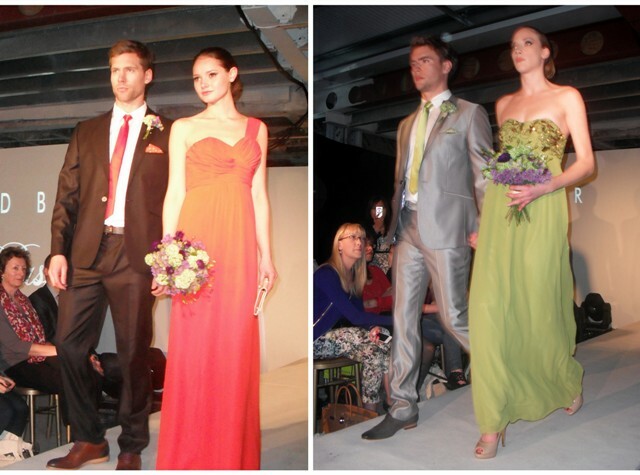 I loved the one shouldered red flowing floor length gown and the spring summer greens beaded dress. Both looks provided great inspiration for the summer wedding season. 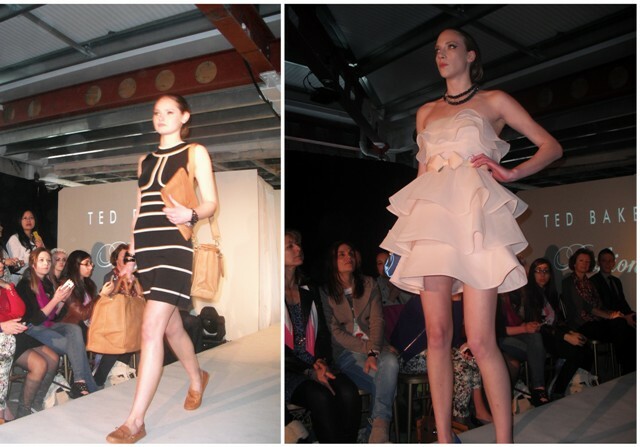 Beauty stuff, loving that cream frill peplum type dress. The mens stuff is lovely too. I really wanted to see this show as well! Ted Baker has been really appealing to me lately! Love the way all the clothes and such are tailored and structured. And the male models as eye candy don't fail to disappoint either! Good collection. I Liked the boat Shoes.